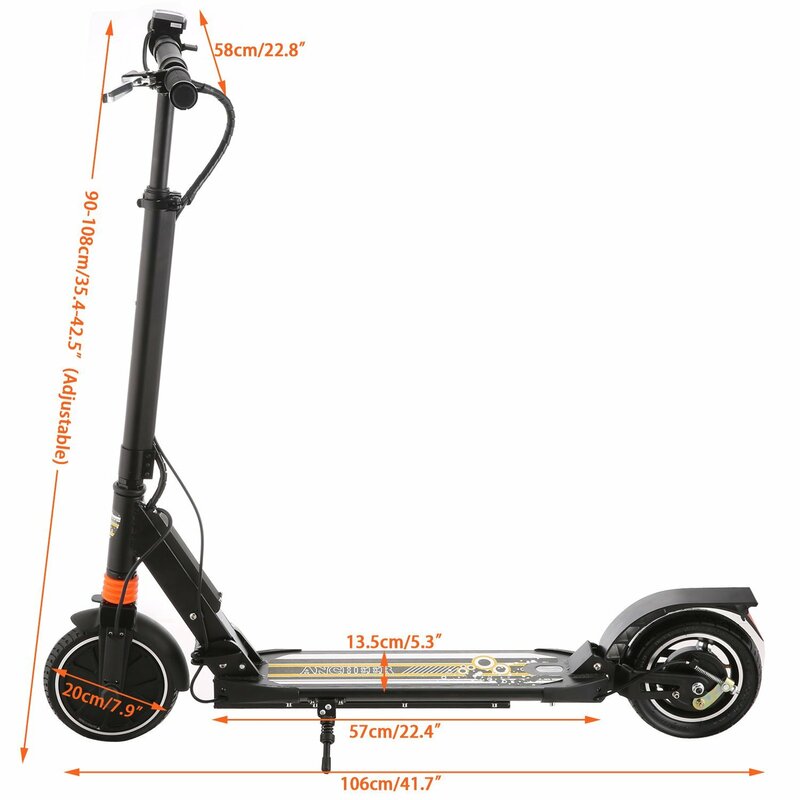 The S600 Commuter Electric Scooter is a durable, practical tool to cut your commuting time and effort and an ideal transportation tool for students, city/urban residents, outlying parking lots, and for running errands, sightseeing and just getting around your neighborhood. •Extra wide 8-inch puncture proof, never-flat rubber front solid tire and Inflatable rear tire with Dual Suspension, reduce vibration and offer you the smoothest ride. Easily maneuver through grass, mud and sand, gravel, slope, obstacles, ceramic tiles,on the board built to do more. 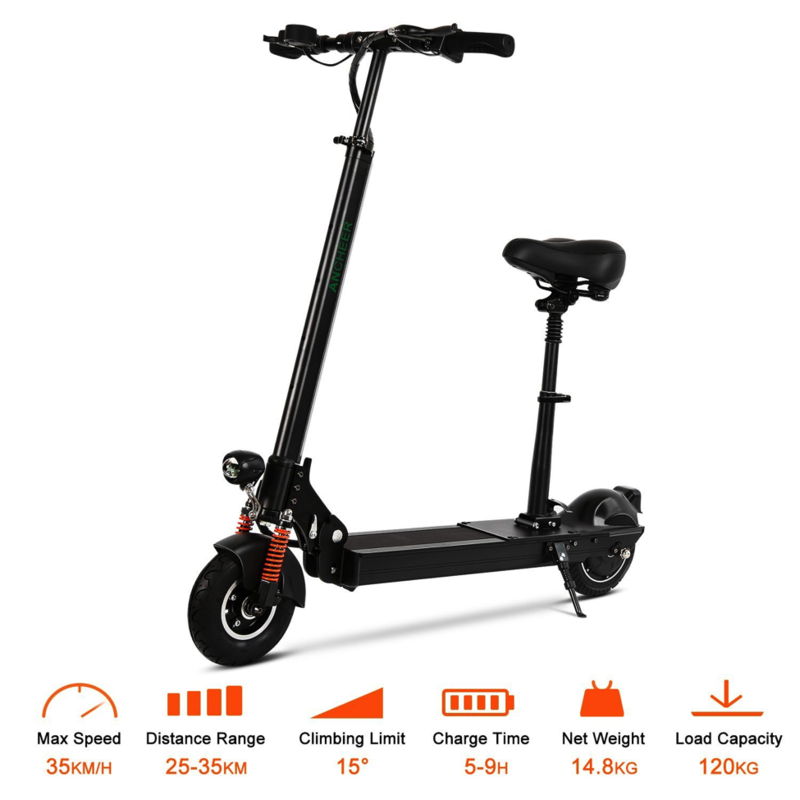 •Anti-Lock Braking System (ABS): The folable electric scooter with hand operated front electric anti-lock braking system and rear drum brake. 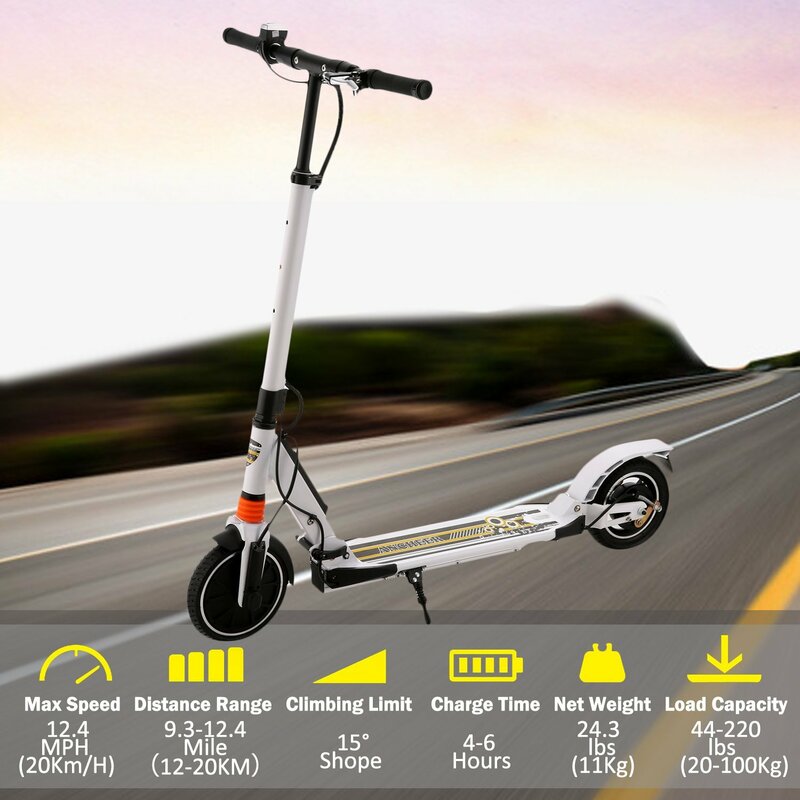 The braking is smooth and secure with an Anti-Lock Braking System (ABS) safely located inside the rear brushless hub motor for safe riding. •Self Power-Cutting Function: The brake have Self Power-Cutting Function, which means that, after braking, the battery will stop supplying electricity to motor. 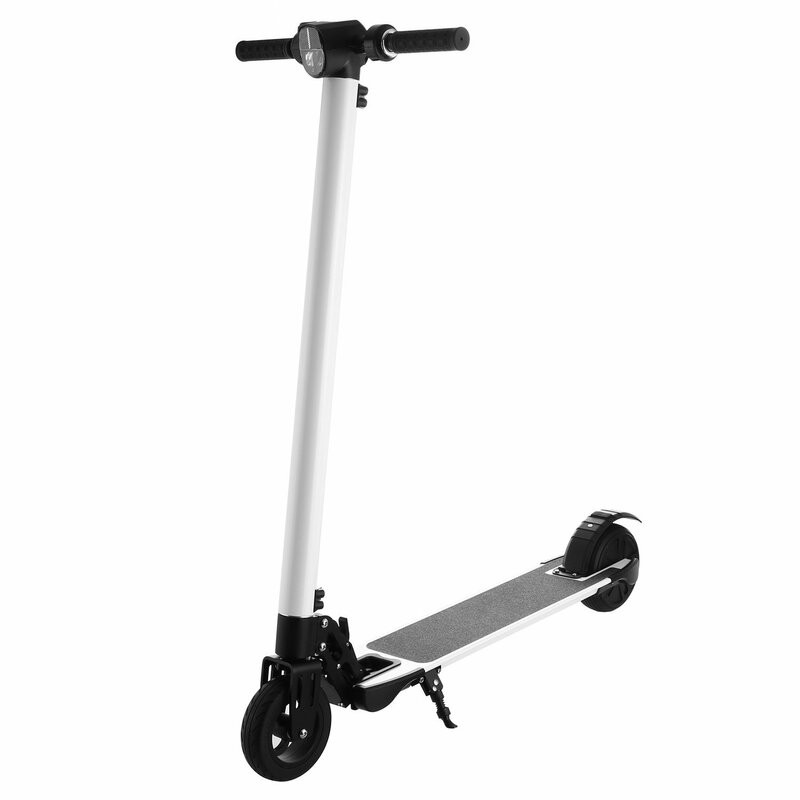 •Twist Grip Trottle Hand Operated: The rear Drum Brake is acted through friction according to signals transmitted by brake lever on left hand. The tighter you grasp, the better the braking effect. On the right handlebar, a twist-grip accelerator makes it go; On the left handlebar, a twist-grip brake makes it stop. Not happy with the range. States at least 15km battery charge time and has trouble going beyond 4-5km. okay. Rides just fine and the speed is good. It can handle a fair bit of weight and doesn’t look half bad. It’s not heavy at all either. I can carry it around with no problem. I just wish it could go further.